Here in our region, we are trying to get everything ready for winter. Snow will be flying all too soon. This weekend the mister and myself put down a ton of compost in the raised beds to put them to sleep for the winter. 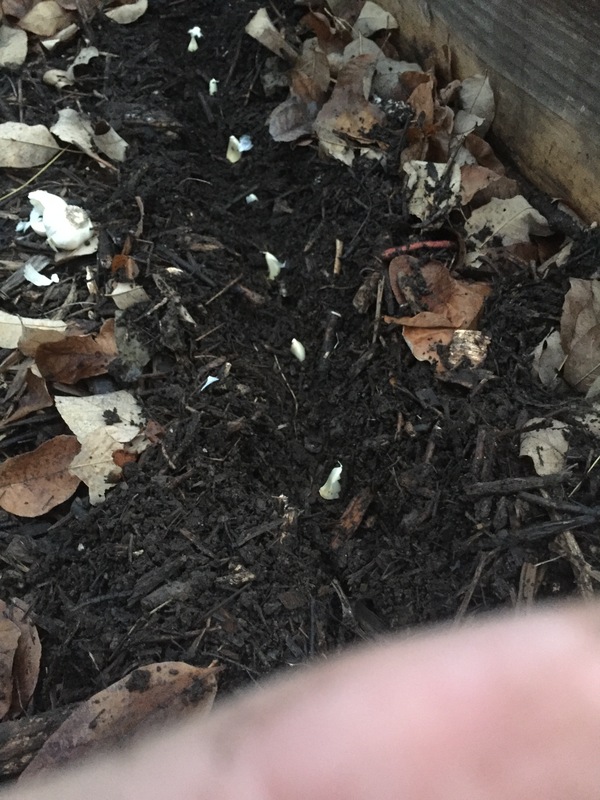 We covered up the garlic that we planted with extra compost and wood chips to make those bulbs cozy for winter! I also planted the raspberry canes that my uncle gave me! He’s the best and always shares plants from his garden! I also try to do a lot of things on my own around here! 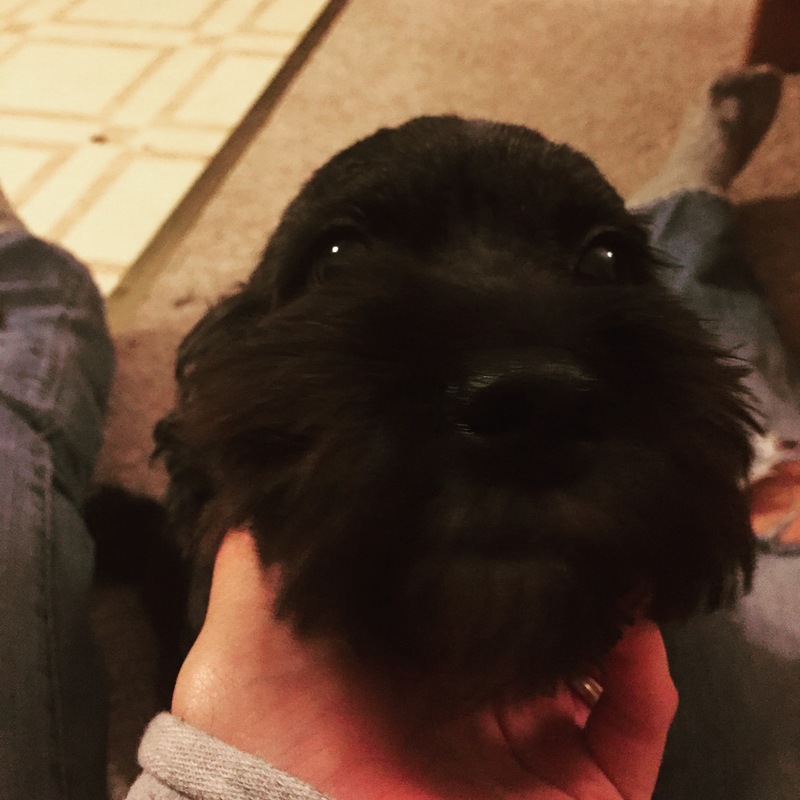 One is cut my pooch’s hair. I’ve been doing it forever and I must say that it’s nice saving around $25 everytime I do it myself! And, she hasn’t complained yet! 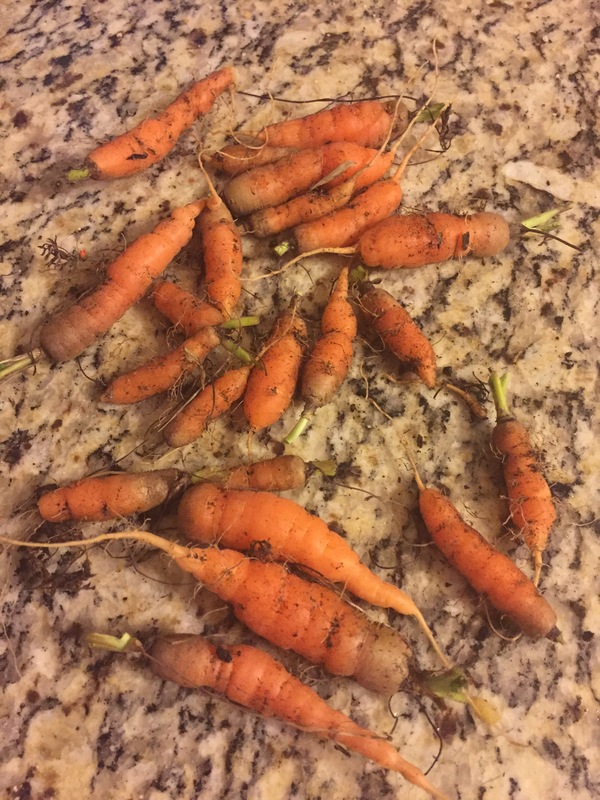 I harvested the saddest carrot crop ever! 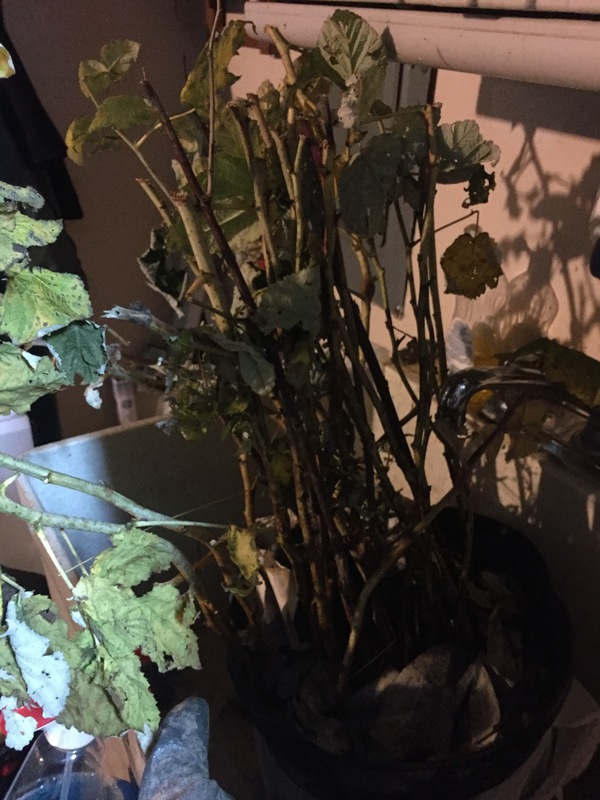 I tried growing them in a container this year and still a fail! Oh well, can’t win them all! 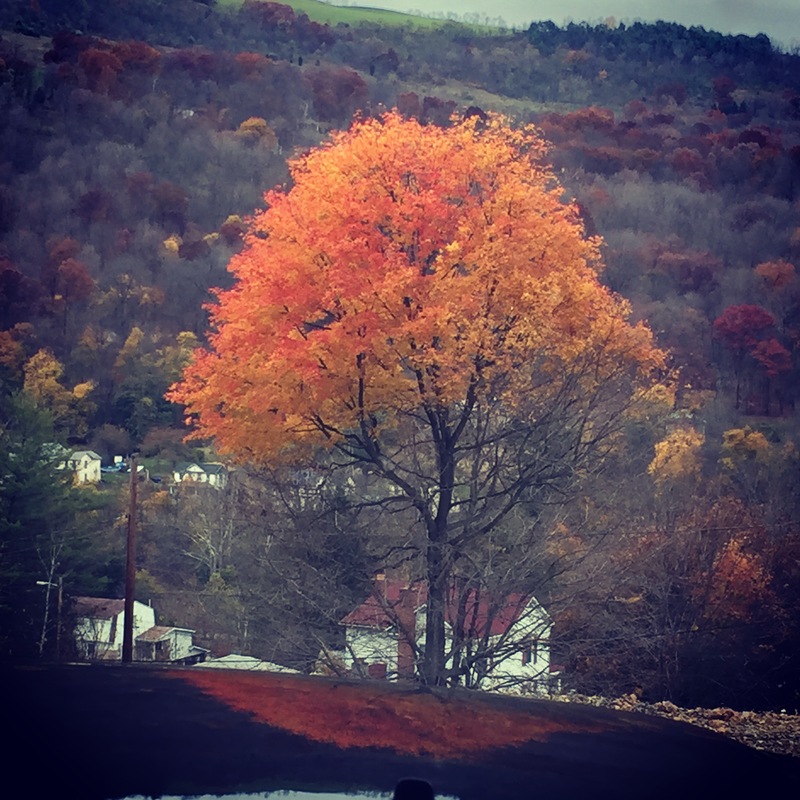 Although I absolutely and completely dislike winter, fall is absolutely beautiful here! This is the sight that I see when pulling out of the driveway! I did go and read your blog!Nicely done! And you will love having some feathered friends!